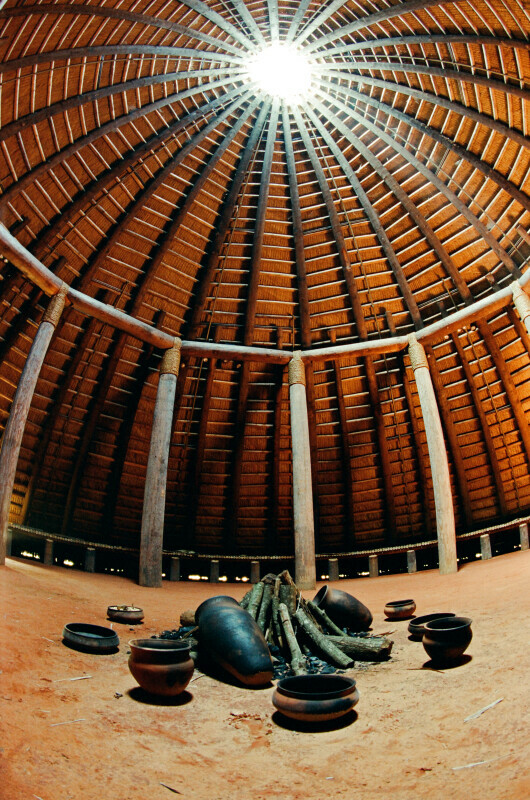 A fish eye view of the central hearth in the reconstructed Chief's House. White sunlight beams brightly through the ventilation hole in the ceiling. WARNING: You are about to download a 51.4 MB TIFF!